2 Fill out brief form. If you have technical problems, please contact us email to support@leansupplysolutions.com . Thank you! QUESTIONS? 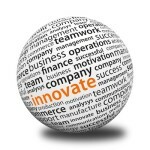 CALL: 866-924-5777 Innovative Supplychain Solutions. There are numerous routes that can be taken when trying to improve supply chain management, but they are all based on a single truth: your supply chain is a strategic asset and needs to be managed like one. Whether you are a small, nimble company looking to expand into niche markets or a larger, mid-market business trying to lower costs, there are very real benefits to be had in finding ways to improve how your supply chain is managed. Fortunately, there are a few universal keys to this process that all companies can take to heart. This sounds obvious, but it’s easy to let the need for an efficient, sustainable supply chain get lost amid a crowd of other priorities. Such mistakes are what lead to companies over-extending themselves or falling for faddish practices without realizing such approaches hurt the bottom line and can’t be maintained long term. Finding efficiencies and ways to streamline processes by saving time, manpower, and money can be done with a mix of regular evaluation, paying attention to physical conditions on the ground, implementing automation of supply chain functions, and numerous other methods. Sustainability is a matter of prudence and carefully assessing the long-term implications of any plan. While some risks are inevitable, you should always have a plan in place for sustainable growth and maintaining the infrastructure you already have. The perfect supply chain is one that is efficient, fast, agile, customizable, and responsive. In reality, however, these traits tend to be mutually exclusive. Maintaining high speed and efficiency is only possible when processes don’t get slowed down by changes, for instance. There are also various skills involved when trying to manage supply chains that prioritize different elements. This is why it is important to accurately identify the most important supply chain priorities and organize the chain accordingly. If necessary, you could also try developing separate supply chains, each dedicated to different requirements and demands, but this is not always needed or advisable depending on size. Knowledge is power—and for supply chains, savings. Maintaining a high-quality and speedy flow of information between suppliers and businesses lets all parties stay on top of inventory needs and helps prevent over- or under-stocking of products, even amidst fluctuating periods of consumer demand. Closely matching inventory to customer needs is a key way to cut down on extraneous costs, so maintaining a constant flow of information is extremely valuable. Should any delays in the info appear, they need to be addressed promptly. There are a plethora of technological options that can assist in supply chain management for your business. Take the time to carefully assess and compare your choices based on how well they serve a business of your size, how flexible they are, how well they can be integrated into other systems, and how they can meet the overall automation and information needs of your operations. Lean Supply Solutions is a 3PL fulfillment company whose operations are based around the Lean Methodology, a proven philosophy focused on eliminating any operations, equipment, or resources that are not capable of adding value to our clients’ supply chain. By striving to ensure that the right products are provided to the right customers at the right time, Lean Supply Solutions is able to offer consistent, predictable, and quality results. To learn more about the Lean Methodology, to outsource your supply chain management in Toronto, or to ask any questions, give us a call at 905-482-2590. Lean Supply Solutions (www.LeanSupplySolutions.com), a leading e-commerce logistics provider, is excited to be celebrating the one-year anniversary of its U.S. flagship shipping centre which is located in San Bernardino, California. The centre opened in December of 2014 and has been Lean Supply’s primary point of support for distribution and fulfillment operations across the western coast of the U.S. The San Bernardino location added capabilities to Lean Supply Solutions’ regional reach, which now offers locations on east and west coast of Canada and United States. The San Bernardino location provides ample space for a wide number of logistics operations, and the staff put every inch to good use. Incoming containers from Los Angeles area ports arrive and drop off goods, which are then stored, picked-and-packed, and shipped to satisfy both e-commerce fulfillment and retail distribution. Despite the vastness of its activities, the supply centre has managed to stay true to Lean Supply Solutions’ signature Lean Methodology. Efficiency and smooth workflow remain prized by both the management and the workers as a way to not only ensure ease of operations but customer satisfaction as well. Lean Supply Solutions is a third-party logistics provider that uses its Lean Methodology to help clients by overseeing all elements of supply chain. They have a unique set of tools and processes to facilitate end-to-end return management processes for e-commerce orders, making it that much easier to get the right “fit.” More information can be found on its web site at www.LeanSupplySolutions.com. Lean Supply Solutions (www.LeanSupplySolutions.com), a leading e-commerce logistics provider, is weighing in on the amount of commercial returns expected for online retailers this holiday season. One of the advantages brick-and-mortar stores have over online vendors is that customers are able to physically inspect and interact with items before purchasing. When buying online, customers only have pictures to go off. This makes it easier for them to be dissatisfied or disappointed with the received product. Fit- or size-related concerns for clothing are responsible for roughly 17% of e-commerce returns overall. Without the ability to try on clothes, it can be harder for customers to adequately gauge how something might fit a particular person or body size. Somewhat paradoxically, improving the return process can also help companies during this holiday period. Customers are more inclined to do their holiday shopping with e-commerce retailers who offer lenient return policies, allowing satisfied purchasers to more easily outweigh unsatisfied returns. “It’s also useful to understand that it only counts as a loss if a customer makes a flat return and not an exchange. Businesses can work to devise methods that encourage this latter action instead,” Krzepkowski concludes. Lean Supply Solutions is a third-party logistics provider that uses its Lean Methodology to help clients by overseeing all elements of the supply chain. They have unique set of tools and processes to facilitate end-to-end return management processes for e-commerce orders, making it that much easier to get the right “fit.” More information can be found on its web site at www.LeanSupplySolutions.com. Lean Supply Solutions Inc. is announcing the merger of Justa Kitting Inc. and Lean Supply Solutions Inc. Merged company will continue to operate under the brand name of Lean Supply Solutions Inc, with Head Offices located in Toronto, Ontario, Canada. All management teams from both companies will continue to work at the merged company holding various key positions. The merged company will continue to provide superior supply chain solutions to clients in retail, automotive, high tech, pharma and e-commerce industries in Canada, US and Mexico with now enhanced capabilities in fulfillment and direct mail services. These additional capabilities will allow Lean Supply Solutions Inc to enhance service offerings to existing and new clients within the fulfillment and direct mail service offerings. Lean Supply Solutions is a provider of integrated customized logistics solutions for most complex supply chains around the world. Using unique blend of lean processes, leading edge IT systems and world class quality systems, we provide quantifiable value for our clients. Lean Supply Solutions, is a privately owned corporation, and is focused on providing innovative solutions for a large and diverse base of multinational, regional, and local companies, including clients operating in industries with unique supply chain requirements. Using unique blend of lean processes, leading edge IT systems and application of world class quality systems, we provide quantifiable value for our clients. Our mission is to quantifiably enhance our clients’ competitiveness by providing innovative, leading edge solutions in a lean supply chain management. We strive to provide world class service and establish our client relationships on trust, professionalism, accessibility, and leading edge technology and processes. We provide forward-looking end-to-end contract logistics capabilities, customized technical services, IT solutions, 4PL and consulting services by supporting major OEM assembly operations and tier-one facilities. LSS’ advanced technology and services within your supply chain allows our client’s team to focus on their core competencies and position for growth. Our supply chain expertise, based on proven industry best practices, provides fully integrated solutions to remove waste and increase productivity in your supply chain. Justa Kitting Inc. is a leader in the marketplace as a full service Fulfillment and Direct Marketing provider. We offer clients multiple solutions for Fulfillment Services, Distribution and Direct mail. We have assembled a unique blend of talent and equipment to offer our customers an invaluable fully integrated solution. Let Justa Kitting Inc. manage the details of implementation so that you can focus on strategy. We offer experience and expertise, an enthusiastic team and services enabled by the latest technology. Whether your campaign is large or small, or whether you need one fulfillment service or end-to-end fulfillment support, Justa Kitting Inc. provides complete solutions that serve your end goal. For further information please contact Tom Krzepkowski, via e-mail tk@leansupplysolutions.com or via phone at 416 748 8982 Ext 112. Click here for a movie. Quickly and easily accommodating clients in locations throughout Canada, US & Mexico. Quick turn-around and startup in other cities and locations. Is Now the Right Time to Change Your Third-Party Logistics Provider? One of the ideas behind forming a partnership with a third-party logistics (3PL) service provider is that it will be a long lasting business relationship. Unfortunately, like all relationships, things don’t always work out as hoped. It may be that your 3PL provider hasn’t been meeting your expectations and has let you down one too many times in the past, or it might be that your current provider is still working out fine, but you’ve started wondering if you’re getting the best service or deal that you can. 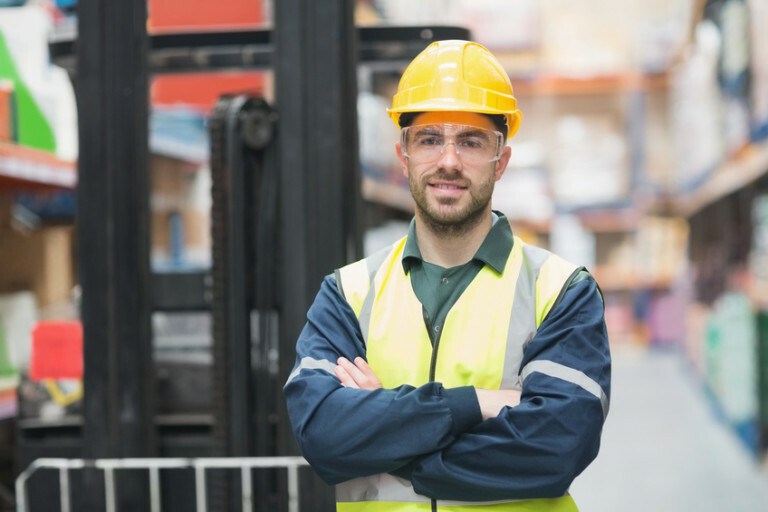 If you have ever wondered whether your current 3PL provider is truly right for you, try taking some of the following into account in order to make a proper assessment. The idea of “outgrowing” a 3PL provider can take two possible forms. The first is when your business develops to a point where it has begun needing things that your 3PL partner isn’t able to provide. For instance, you might want to expand into international shipping or your order volume has begun to exceed the abilities of your partner. If you have ever found yourself backing away from certain expansion ideas due to lack of 3PL support, a new partner may be a good idea. The second form outgrowth can take is if the 3PL company itself does not appear to be growing as a business. If you’ve noticed that your partner seems to be losing more clients than they’re taking on, is slow or resistant to implement new technologies or practices, or seems to have a revolving door at the executive level, it might be a sign that they aren’t doing well. Switching out at this point could be necessary to prevent their struggles from spilling over into your own logistics services. Certain fluctuations in pricing is inevitable during any business partnership and a third-party logistics provider is no exception. Simply finding yourself having to pay more on occasion is not automatically a red flag, but if this happens too often or if the price increases are particularly large, this could indicate that you are paying for your partner’s poor financial management decisions. If you begin to suspect that you are having to pay for your 3PL provider’s mistakes, switching to a more financially sound and diligent option may be in your best interest. There is a certain degree of trial and error that is inherent in any business. Mistakes will be made and learning from them (or the mistakes of others) is an important part of ensuring a growing business. Consequently, constantly making the same sorts of errors over and over again can be a sign of poor management and an inability to learn important lessons. 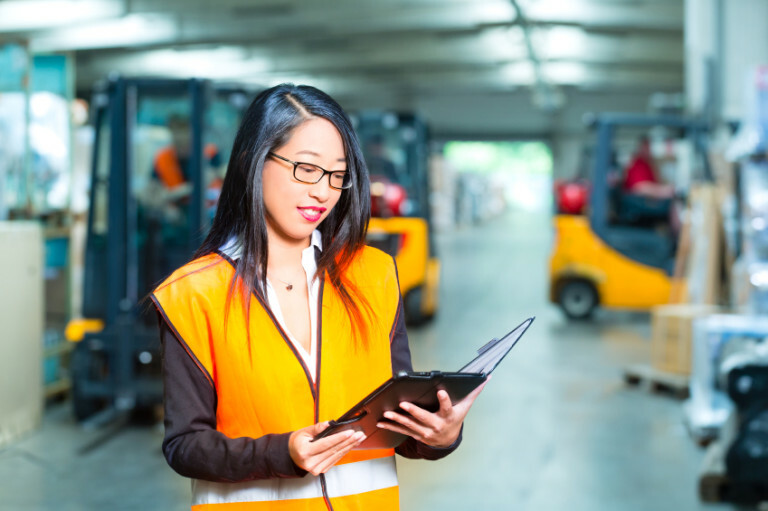 If your 3PL partner seems to be repeatedly making the same sorts of errors and you find yourself relying on workarounds more than how things are supposed to be done, it should be taken as a sign of managerial inability and a reason to start looking elsewhere. Lean Supply Solutions is a 3PL fulfillment company whose operations are based around the “Lean Methodology,” a proven philosophy focused on eliminating any operations, equipment, or resources that are not capable of adding value to our clients’ supply chain. By striving to ensure that the right products are provided to the right customers at the right time, Lean Supply Solutions is able to offer consistent, predictable, and quality results. To learn more about the Lean Methodology or outsourcing to Lean Supply Solutions, or to ask any questions, give us a call at905-482-2590. Pick-and-pack is a form of value-added service that is an integral part of supply chain management. As a result, finding an effective pick-and-pack fulfillment service can lead to numerous benefits in efficiency and effectiveness within any shipping or supply operation. Here are the most important things to keep in mind when choosing which company to outsource your pick-and-pack fulfillment services to. Pick-and-pack is best understood as a form of centralized distribution. Under a pick-and-pack fulfillment service, products are shipped en masse to a central location—usually a warehouse run by your company or a third party partner. These large quantities are then “picked” apart and contents separated out depending on their eventual destination. These smaller bundles are then “packed” up and sent on their way. 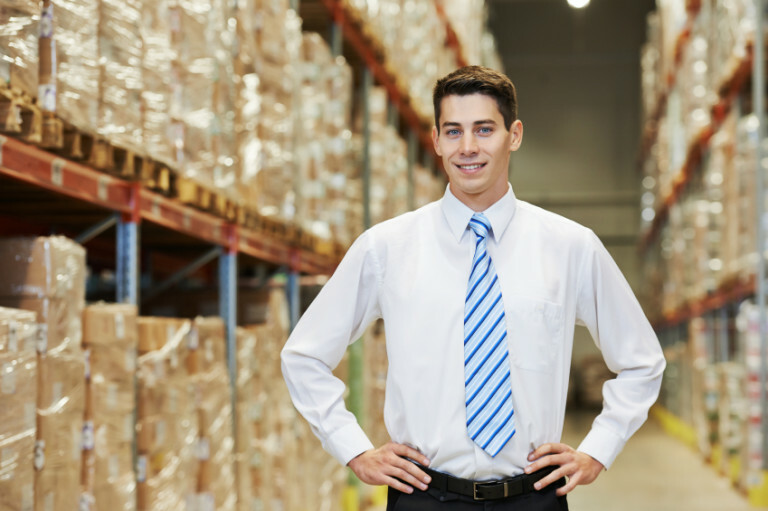 Why Outsource to an Order Fulfillment Company? Lean Supply Solutions is a leader in supply chain management and all of its associated services, including pick-and-pack. Efficiency and effectiveness is a core part of the Lean Methodology that we use to capture value and speed at every stage of our operations. With us, pick-and-pack isn’t just an added service—it’s a piece of common sense and a key part of what makes a lean, mean, supplying machine. Within Canada: the Montreal, Quebec City, Winnipeg, Vancouver, Calgary, and Edmonton areas, as well as most of Southern Ontario. Within the Continental US: Michigan, Illinois, Alabama, Florida, North and South Carolina, Texas, Arizona, and California. To learn more about the Lean Methodology, Lean Supply Solutions’ pick-and-pack services, or to ask any questions, give us a call at 905-482-2590. The supply chain is everything required to get your product or service to your customer. It is a series of events and processes that involves the movement of materials, finished goods, information, and money. For a lot of small businesses, the supply chain is seen as a lesser concern. After all, so long as you have enough supply to meet customer demand, why would you worry about how it gets there when you have more pressing business matters to attend to? Although common, this view is unfortunately not going to produce the best possible results. If you have never given your supply chain a proper evaluation, then that means there are likely many inefficiencies present that are costing you money you don’t need to spend. Taking the time to manage your supply chain means reducing costs and saving money that can be better spent elsewhere. A good supply chain is like a timely freight: it gets items from point A to point B with no fuss, delays, or hitches. Stability is always preferred when your supplies are involved. A better supply chain means your products or services can get to customers in the timeliest way possible. As your management of the supply chain improves, you can offer better customer care and options that will keep people coming back for more. Before you can begin to design a management strategy for your supply chain, you need to consider how it will fit in with your overall business approach. You likely have a direction you want to go, customers you want to target, services you want to expand, and the like. Your supply chain strategy should compliment and support these objectives as well as your overall management style. Get a bird’s eye view of the entire supply chain and map out how your products get from raw materials to finished products in your customers’ hands. Since this can be a very large process, it helps to break things down into stages. Examine where the original material comes from, where and how it is turned into the finished product, and how that product is delivered to you and/or your customers. Once you have a grasp of your supply chain, begin considering plans for improvement. Look at common benchmarks for your industry and see where you line up. Are there inefficiencies that can be corrected? Suppliers or manufacturers that you can switch to who offer better rates, faster results, or other benefits? Make sure to have specific performance goals in mind for this part. By having an ideal rate of improvement in mind, you can better tailor your plan and make it more specific to your needs. A concrete, measurable improvement also means that progress of the plan will be easier to track. Lean Supply Solutions is a third-party logistics provider that uses its Lean Methodology to help clients by overseeing all elements of supply chain providers and participants. Our proven philosophy is based around eliminating any operations, equipment, or resources that are not capable of adding value to your supply chain. By ensuring the right products are provided the right customers at the right time, we offer consistent, predictable, and quality results. To learn more about the Lean Methodology and how we can use it to help your business, give us a call at 905-482-2590. © 2012-2019 Copyright (c) Lean Supply Solutions Inc.